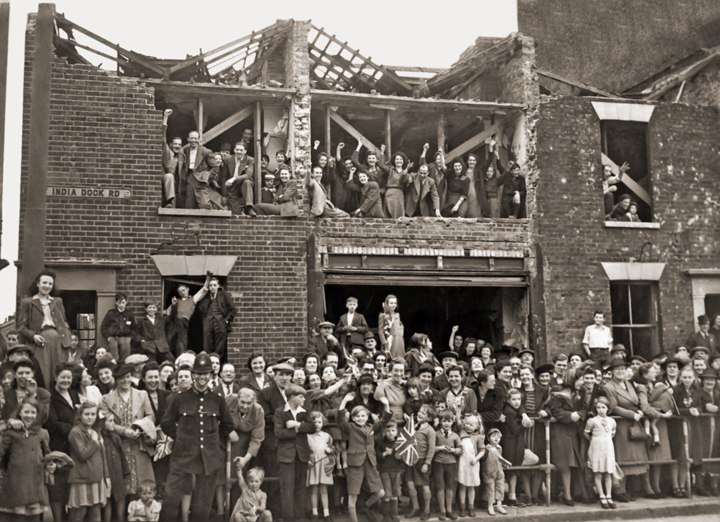 “This photograph was taken on a day when King George VI and Queen Elizabeth visited Poplar during the Blitz. My father as a boy is standing in the right upper window with his mum on his right and his best friend beside him. 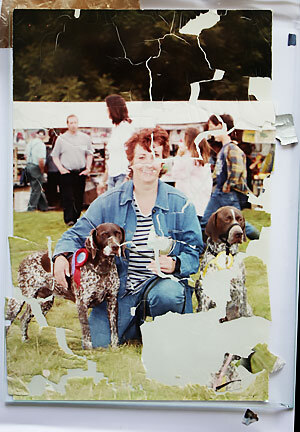 I recently received this photograph which had been kept in a photo frame and the entire top surface of the photo had come away from its paper backing and so the image consisted of a large number of very frail flakes that would have blown away in the slightest draught! 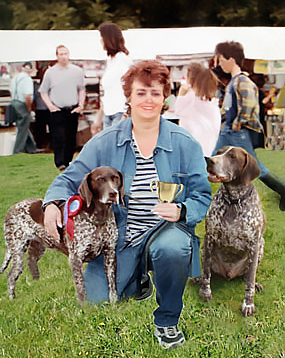 It was an important photo and so I was able to digitally painstakingly put it back together and with the help of two other photographs from the same customer I as able to use the persons eyes and add a complete dog! 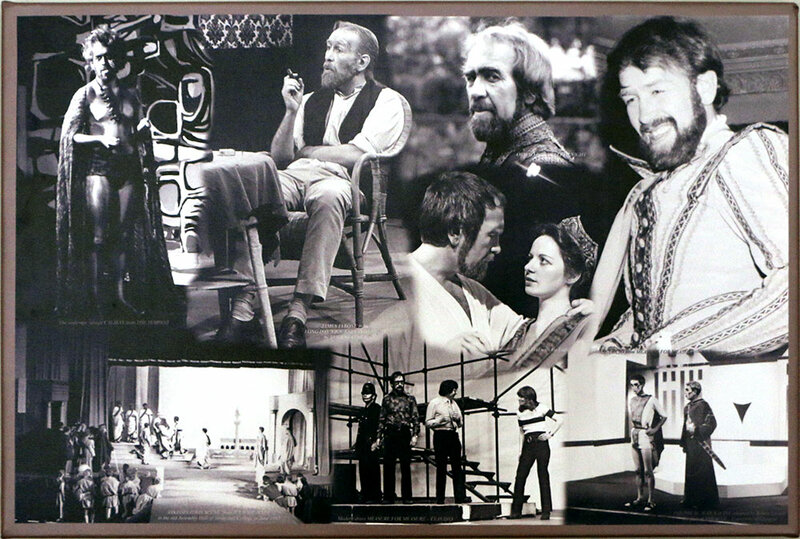 I recently received an order from Iain Anderson from Renfrewshire as he wanted me to produce a montage on canvas of some his photographs taken when he was in various dramatic stage roles. During our conversations I found that Iain has his own radio show on BBC Scotland and he plays some really great music, much of which you may not have heard before and is well worth hearing, which you can hear again on the BBC iPlayer. “Thank you so much for your recent work which was excellent as usual. The photograph you restored fits beautifully into the frame and looks wonderful surrounded by a verse from one of my favourite songs. No apologies for the sentimental nature of the words! I’ve sent you a copy so you can see the end result. Always very gratifying to receive this kind of message. Here is an interesting order I completed recently. 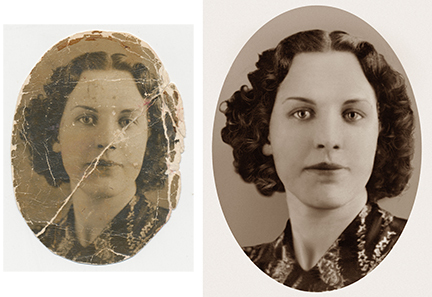 Not only to combine two photographs that were in very poor condition but also to add the woman from the first photograph – minus baby! 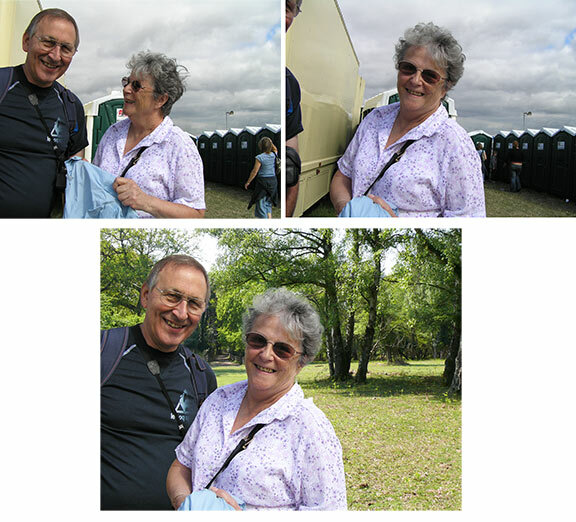 – to the second photograph while turning her around so she was facing the right way rather than turning her back on her husband! “I first contacted Richard at Photographs Forever to see if there was anything he could do with a photograph that had huge sentimental value to my partner Frank as it was the only one he had of his two daughters at that age. The photograph had accidentally been very badly damaged by falling from a car window in the rain and being repeatedly run over by several cars, here’s the photograph in question. 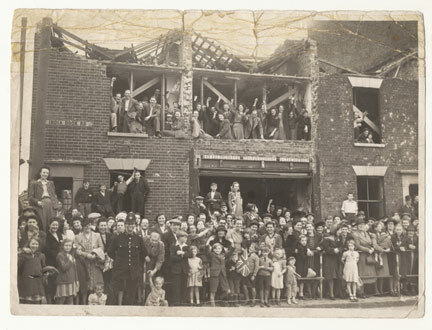 Richard said that unfortunately there was nothing he could do as the photograph was too badly damaged to restore. I knew there was one other photograph of the two girls that was one of those tiny photographs in a key ring fob. Richard sent this photo of the girls, to be signed for, and as I am at work, I missed the postie, got a card through the door to pick it up from the sorting office in West Bromwich. I did not know where it was so I asked Frank to take me. (I have not lived in West Bromwich very long). When I collected it he could see it was photos by the packaging, I told him that I had got you to do “something” to the picture of his girls but I would not tell him what because it was to be a surprise for his birthday, he seemed quite uninterested. He has since told me that he thought you had just made the photo bigger and made it oval, why he thought that I will never know! ANYWAY, when we got back home I opened it, I got goose pimples! He replied “No, put it away somewhere and I will have it for my birthday”. I pulled it out the envelope again and said “No I cannot do it, you have to see this”. When he saw it, well……………….. He is SO HAPPY, his bottom lip started to quiver and I have never seen him like that, he was astounded. I was afraid that he may not like it as it has been manipulated, it is not actually a memory, as photos normally are but no – he LOVES IT! We cannot believe the attention to detail, I thought that the girls were wearing hi-vis COATS on the original photo but they were not, they were actually waistcoat hi-vis’s, and the hard hats -on the original – the oldest girl has a blue hat and the youngest a white one, Richard is SO GOOD. AND the pen in the hi-vis on the youngest, AMAZING. WHAT MORE CAN I SAY……….. WE ARE SPEECHLESS, totally, I cannot thank Richard enough, he has made Frank’s day, his year, his birthday! I told Frank I would buy him a frame for it for his birthday, he said “No way, we are getting a frame on Saturday”.